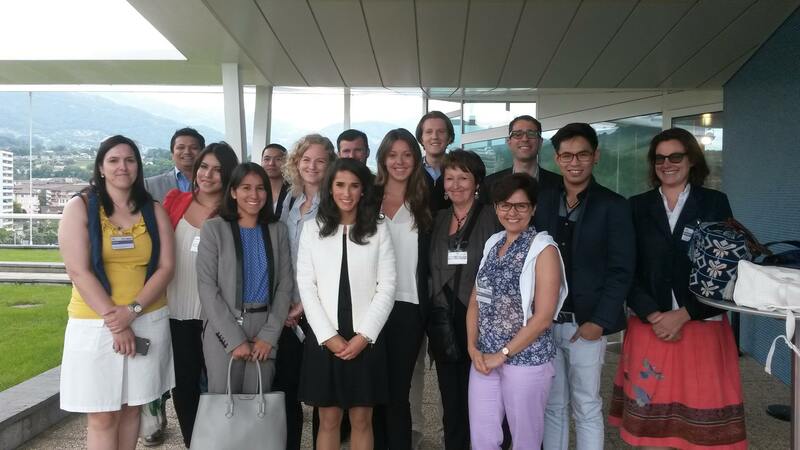 A group of BSL students from the Bachelor, Masters and MBA programs visited Nestlé today. The aim of the visit was to try to understand the complexity of a multinational organization like Nestlé in today’s globalized, interconnected world. For this visit we were hosted by Nicolas Lorne, the person responsible for Promoting Corporate Culture, Values & Principles internally in Nestlé. To start off, we visited the 6th floor of the beautiful headquarters overlooking Lac Léman in Vevey where we saw an exhibition of the Nestlé products and were able to read their communications on who they are and what they believe in as an organization. Creating Shared Value for society is very important to this company, we heard and evidence of this commitment was very present on the 6th floor. The students were impressed and surprised to see just how many products Nestlé has (6,000) and in how many countries they operate (everywhere, North Korea and Burma are the newest places). Nestle has more than 300,000 employees and about 500 factories worldwide – this is the biggest company in its sector in the world. Albeit enormous, this company believes, Nicolas Lorne informed us, “in subsidiarity”. When it was created the company managed to expand very rapidly because of its belief in decentralization. Although the company is Swiss, the products are not the same in every country they are found. Ice-cream in China does not have the same taste as ice-cream in Switzerland, we heard from Mr Lorne. Tastes and preferences differ so products cannot be the same. Listening to Nicolas Lorne, students were taken on a journey outlining the complexity of doing business as a global multinational company. Supply chain management, resource issues (water being one of the biggest challenges the world is facing), human resources, the list goes on and on and our host shared his knowledge of complex issues in a very generous way, greatly benefiting our attentive students. It is clear that Business Schools have a lot of responsibility, we need to help students understand complexity, connectedness, systemic thinking, and the importance of business organizations doing the best they can to be ethical and to ensure they create value for society. Our thanks to Nicolas Lorne for a wonderful presentation and visit, we appreciated it very much. This entry was posted in BSL Class Experience, Business School Lausanne, Corporate Responsibility, Leadership & Management, Learning, Sustainability and tagged BSL, Business School, Business School Lausanne, company insight, Company visit, creating shared value, global company, multinational, Nestle, Nicolas Lorne, presentation, Student visit, subsidiarity, supply chain management, Switzerland, Vevey by bslfaculty. Bookmark the permalink.